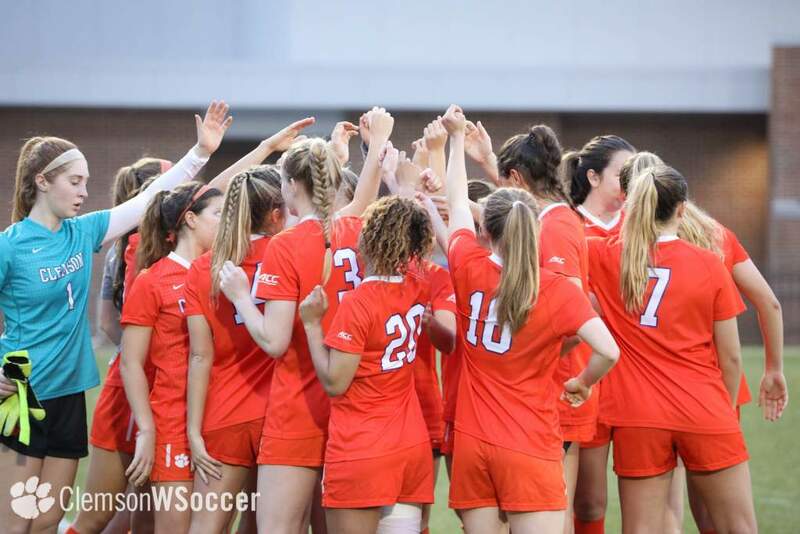 Clemson, SC – The 19th-ranked Clemson women’s soccer team will face third-ranked Virginia on the road on Sunday, October 14. The game between the Lady Tigers and the Cavaliers will begin at 2:00 p.m. at Klockner Stadium in Charlottesville, VA. 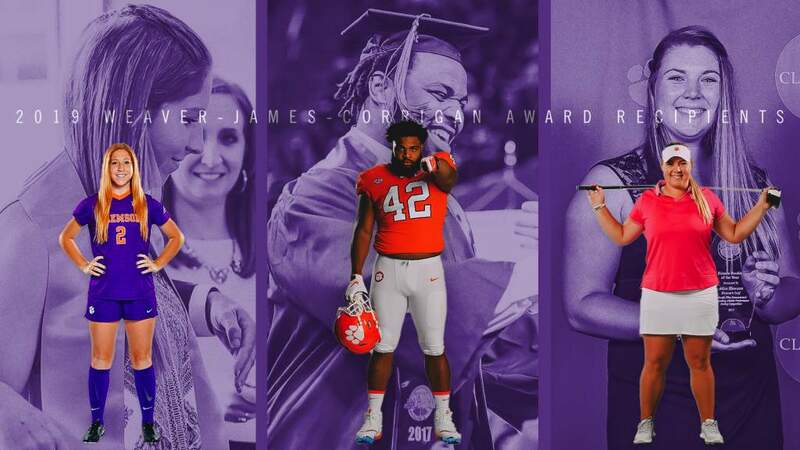 The contest will be the third of four straight road games in the Atlantic Coast Conference for Clemson. The Lady Tigers have an 8-2-2 overall record and a 1-1-2 mark in the ACC entering Sunday’s game. 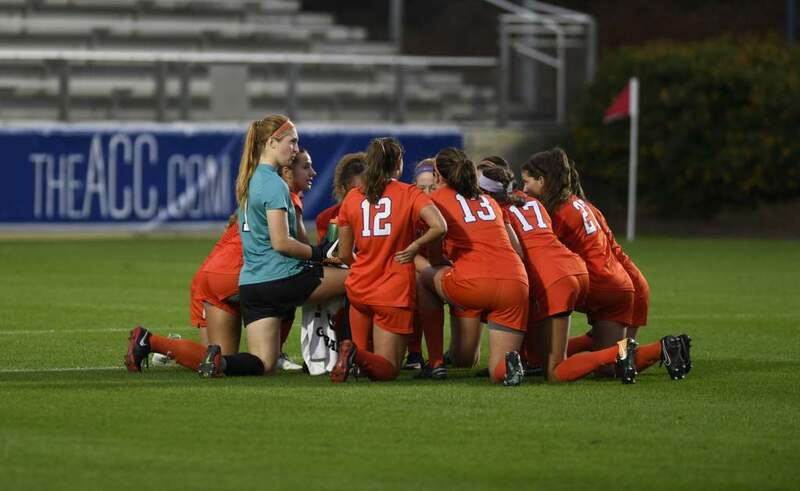 On Thursday night, Clemson played to a 1-1 double-overtime tie with Virginia Tech in Blacksburg. Red-shirt senior midfielder Courtney Foster scored the lone goal for Clemson, her fourth of the season and the 29th of her career as a Lady Tiger. 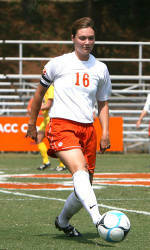 Foster currently ranks seventh in Clemson history in career goals scored. Foster and sophomore midfielder Molly Franklin lead the Lady Tigers in scoring through 12 games, with 12 points apiece. Foster has four goals and four assists, while Franklin has two goals and an ACC-leading eight assists on the season. All-American goalkeeper Ashley Phillips has 41 saves and has allowed only five goals in 930 minutes in goal. 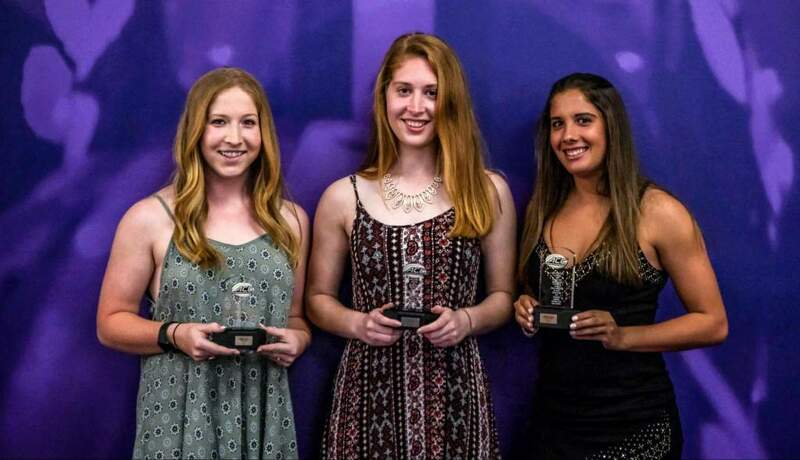 The senior has a 0.891 save percentage and a 0.48 goals-against average through the 11 games she has played. Phillips is just 27 saves shy of breaking the Clemson career record of 305 saves set by fellow All-American Katie Carson from 1998-2001. Virginia is ranked third nationally with a 9-1-3 record overall and a 3-0-2 record in the ACC. The Cavaliers are coming off a 3-0 victory over N.C. State on Thursday night in Raleigh. Senior Shannon Foley has seven goals and seven assists for 21 points on the season to lead Virginia. Goalkeeper Chantel Jones has allowed just three goals and has posted 36 saves in nearly 1227 minutes in goal for the Cavaliers. Clemson has a 10-7-0 advantage in the series with Virginia, which dates back to the 1994 season. The Cavaliers have won the previous four meetings between the two teams, including a 1-0 decision in Clemson last season. Clemson has a 3-4 record against Virginia in games played in Charlottesville. Sunday’s game between the Lady Tigers and Cavaliers will be broadcast live on the Internet via ACC Select. Fans can watch the action by clicking on the link below. For more information, visit ACCSelect.com. Live statistics for the Clemson vs. Virginia game will be available on www.clemsontigers.com. The statistics can be accessed by selecting the corresponding Gametracker link in the schedule window on www.clemsontigers.com.